Performing Kafka Streams Joins presents interesting design options when implementing streaming processor architecture patterns. In this Kafka Streams Joins examples tutorial, we’ll create and review sample code of various types of Kafka joins. In addition, let’s demonstrate how to run each example. 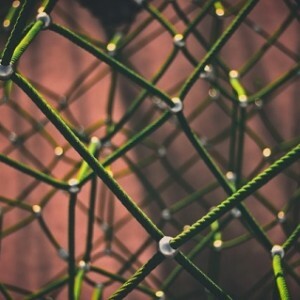 The intention is a deeper dive into Kafka Streams joins to highlight possibilities for your use cases. When going through the Kafka Stream join examples below, it may be helpful to start with a visual representation of expected results join operands. When we go through examples of Kafka joins, it may be helpful keep this above diagram in mind. The color blue represents are expected results when performing the Kafka based joins. In essence, we will be creating miniature stream processing applications for each one of the join examples. But first, how should we think about our choices of `KTable` vs `KStream` vs `GlobalKTable`? `KTable` represents each data record as an upsert. If an existing key in the stream exists, it will be updated. If the key does not exist it will be inserted. For those of you coming from relational databases, I like to think of `KTable` as a form of a reference table. In my experience, the use of reference tables was concerned with using the latest values for a particular key rather than the entire history of a particular key. The value of a reference table was looking up the most recent value of a particular key in a table, rather than all the values of a particular key. `KStream` on the other hand is designed for when you are concerned with the entire history of data events for particular keys. This is often referred to as each data record as being considered an insert (rather than an update or upsert in `KTable`). For example, KStream would be utilized to process each sensor temperature readings in order to produce an average temperature over a period of time. All the historical records are required to produce a reasonable average. This is in contrast to `KTable` where you might wish to know the most recent average temperatures of all sensors in a particular region. You wouldn’t use a `KTable` to calculate an average because KTable would always return the most recent individual temperature and not concerned with each individual event like `KStream`. `GlobalKTable`, as the name implies, is a form of `KTable`. Unlike a regular `KTable` which will represent 1 partition from the topic of which it is being composed, `GlobalKTable`, on the other hand, accounts for all partitions in the underlying topic. As you can imagine, this has advantages but also performance related considerations as well. Performance related considerations include increased storage and increased network transmission requirements. Other benefits of `GlobalKTable` include no requirement for co-partitioning for joins, the ability to broadcast to all running instances of an application, and more join operations which we won’t cover in any detail here because of the introductory nature of this tutorial. 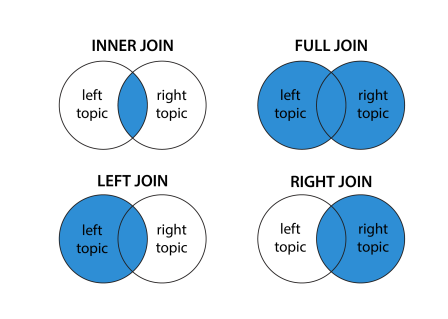 We do not cover co-partitioning in this tutorial but let me know if you’d like to explore further. Keep in mind there are essentially two types of joins: windowed and non-windowed. Windowing allows us to control how to group records which have the same key. In joins, a windowing state store is used to retain all the records within a defined window boundary. Old records in the state store are purged after a defined retention period. The default window retention period is one day. I’ll add relevant windowing where applicable in join examples below. Before we get into the Kafka Streams Join source code examples, I’d like to show a quick screencast of running the examples to help set some overall context and put you in a position to succeed. As you’ll see, the examples are in Scala, but let me know if you’d like to see them converted to Java. Let me know. As you see in the screencast, we’re going to run all the Kafka Streams Joins examples through Scala tests. If you want some background on this approach, it may be helpful to check out the previous Kafka Streams Testing post. What’s going on in the code above? How to run the Kafka join examples? To run the Kafka join examples, check out the `com.supergloo.KafkaStreamsJoinsSpec` test class as shown in the Screencast above. Running this class will run all of the Kafka join examples. For example, the following test will run this inner join test described above. Pay attention to how these tests differ from the other `KTable` to `KTable` join tests later in the test code. Windowing note: As you might expect, `KTable` to `KTable` are non-windowed because of the nature of `KTable` where only the most recent keys are considered. Next, let’s move on to `KStream` to `KTable` join examples. Following the overall code organization of join implementations and test examples described above, we can find three examples of these joins in functions starting with the name “kStreamToKTable” in `KafkaStreamsJoins`. Similarly, we can find examples of how to run the examples and differences in their tests in the `KafkaStreamsJoinsSpec` class. In this example above, we don’t have the option to provide a `StateStore` in the join. So, instead, we use `to` function to pipe results to a new topic directly. Then, we customize the `StateStore` by creating a `KTable` with the previously mentioned topic, so we can reference in the tests. The final two examples are `KStream` to `GlobalKTable` joins. Again, the code is similar, but key differences include how to create a GlobalKTable and the `join` function signature as seen in the following. Constructing a `GlobalKTable` is simple enough that it doesn’t require elaboration. The `join` function signature changes to require a keyValueMapper: `(lk, rk) => lk` This keyValueMapper is a function used to map the key,value pair from the KStream to the key of the `GlobalKTable`. In this implemenation, nothing fancy. We simply want the key of the `KStream` (represented as “lk), to match the key of the `GlobalKTable`. As you might expect based on the aforementioned description of `KTable` vs `GlobalKTable`, the tests in `KStream` to `GlobalKTable` joins are nearly identical to `KStream` to `KTable` examples. Hopefully, you found these Kafka join examples helpful and useful. If you have any questions or even better, suggestions on how to improve, please let me know. This experience happens when running tests in both IntelliJ and SBT REPL. Let me know any suggestions to resolve. Kafka Streams – Why Should You Care?